Homeopathic Health – Happier, Healthier & More Energetic! The first Homeopath was a German medical doctor looking for something safer than what his colleagues prescribed during his lifetime. He was looking for something non-toxic. Because if his efforts Homeopathy is used around the world today. It has been used for over 200 years with, in some cases, powerful results. Homeopathy is a very individual treatment. Supporting the body’s energy to heal. Illness depletes the body of energy, we need energy to get better. When a person experiences emotional or physical illness, especially over long periods of time, exhaustion sets in. The body is trying to heal, balance or repair but might not have the strength to push through. A homeopathic remedy is thought to use a pattern and/or energy from a substance in nature to add support. If the ‘similimum’ or best remedy for you is chosen it may support the body naturally ability to fix or balance itself. Homeopathic remedies are thought to work more on the laws of energy, and can go deeper than diet, herbs or vitamins. Why Choose Homeopathy Over Other Treatments? My experience both personally and professionally is, IT WORKS. IT OFFERS HOPE sometimes even when other natural treatments have not helped much. Homeopathic remedies have no chemical side effects. Homeopathic treatment is very personalized, because none of us are exactly the same or need the same things. Homeopathic treatment does not require a strict or rigid life style of herbs or diet to work. THE BODY WAS DESIGNED TO HEAL, homeopathy attempts to support that. In classical homeopathic treatment we do not treat the disease we treat the person as a whole and look for ONE constitutional remedy that will fit you individually. As a Classical Homeopath, I believe there is a connection or thread between all your complaints. For example, emotions affect our physical health and vice versa. Classical Homeopathy is truly holistic. By matching your complaints to a ‘constitutional’ remedy the goal is see improvement mentally, emotionally, physically, and hormonally. The remedy I prefer is usually a liquid LM POTENCY which easy to take. I do believe it takes a village to keep us healthy. I am passionate about homeopathy and try to add to the village with this modality. HEALTH IS ABOUT BALANCE AND FREEDOM. NO. When you take an herb, you’re actually ingesting part of an edible plant. But other substances in nature have a healing potential besides plants. 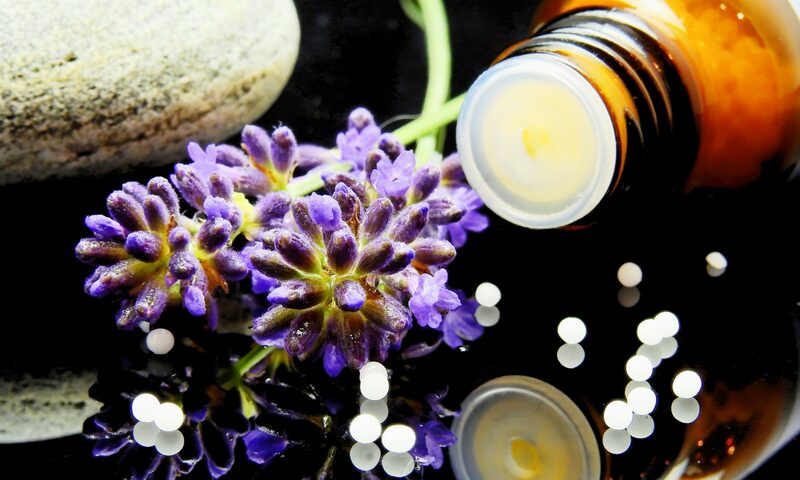 Homeopathic remedies are safely prepared from many substances in nature. I use professional homeopathic pharmacies monitored by the FDA, however not for efficacy or safety. YES. Since homeopathy is NOT made on the laws of chemistry, but perhaps more on the laws of energy. So there are no chemical side-effects, chemical overdosing, or addictive/habit-forming ingredients. The word homeopathy is a Greek word which means ‘similar suffering’. Symptoms are the bodies way of communicating to a Homeopath what substance in nature to choose. I LOOK AT ALL THE SYMPTOMS and then do my best to choose a remedy for you. If your body resonates with the remedy chosen, your body will respond. A naturopath is like a ‘general practitioner’ of natural healthcare. Homeopathy is hard in the sense that you do not give this for that. Out of several thousand remedies available I have to find the best one for you. So I specialize in homeopathic treatment and have seen many positive results. One true constitutional or “similimum” remedy is simple to take, yet it supports the body’s healing potential in a much deeper way than any herb, vitamin, or diet. Like any and all treatments there are no guarantees when it comes to health. But I have found homeopathy to be very supportive to many health complaints….mentally emotionally, hormonally and physically. I HAVE LEARNED TO NEVER UNDERESTIMATE THE BODIES DESIRE TO HEAL! HOMEOPATHY HAS BEEN USED FOR CENTURIES, IN MULTIPLE COUNTRIES. ALL KINDS OF HEALTH IMPROVEMENTS HAVE BEEN CLINICALLY DOCUMENTED. What Makes One Homeopath Different Than Another Homeopath? All Homeopaths have their own unique way of practicing Homeopathy. Homeopaths who use combination remedies, multiple remedies, or who change the remedy at every visit might be an indication of an inability to find the “simillimum” or the best constitutional remedy for you. Some Homeopaths limit themselves to a few hundred remedies (ie. polychrest) when there are thousands to choose from. If you have tried homeopathy in the past without success, choose another Homeopath…the best remedy for you may still be out there. New remedies are being made all the time, maybe your remedy was not available last time you tried. Homeopathy is continuously growing. Choose a Homeopath who continues to learn and keeps current with homeopathic knowledge. One who receives education world wide. IT IS IMPORTANT TO LOOK FOR THE CREDENTIALS OF CCH, and/or RSHom(NA). These credentials mean a Homeopath has education which meets the National Standards for Homeopaths in the United States and North America. They must maintain homeopathic standards and continue their education by getting a certain amount of CEUs (continuing education credits) each year. If they do not have these credentials, you have no way of knowing if they have a good education or any formal homeopathic education.